Ahead of this year’s Frankfurt Book Fair we summarise recently published strategic publisher insights gathered by analyzing altmetrics data. Visit the Digital Science booth at the Frankfurt Book Fair in hall 4.2 location L97. With the ever-growing prominence of research metrics, it can be challenging to understand the meaning behind a certain score, trend or spike. In this post, I’ll highlight some recently published studies, blogs and other content detailing where altmetrics data has been utilized to gather insights for practical applications across marketing, editorial, and sales departments within publishers. 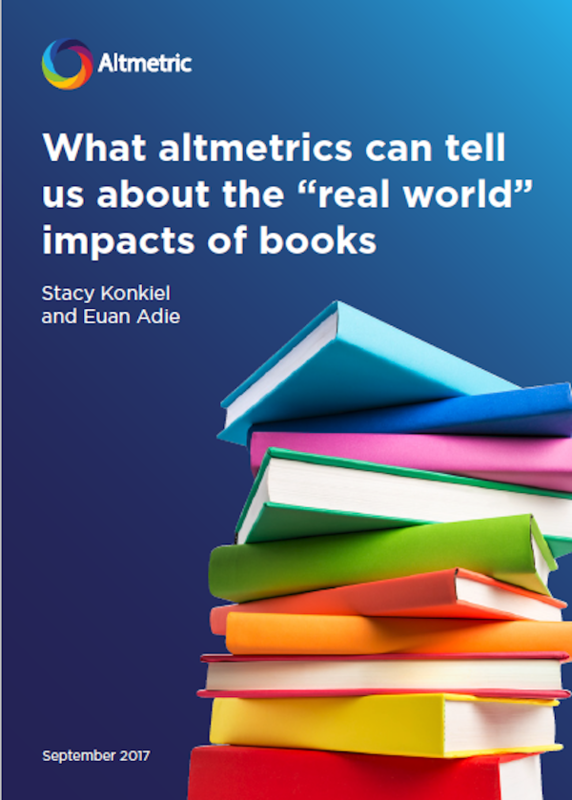 What altmetrics can tell us about the “real world” impacts of books. Since Altmetric started tracking books and chapters in 2012; online attention for publications from over 4000 publishers has been tracked. In this report published last month new insights around where and how books are discussed online are uncovered. The report also looks at the spread of attention across subject disciplines and different output types. This analysis provides essential information to help publishers understand and put into context the online attention for their books and the differences in the audience from that of journals. Download the report for free on Figshare. Springer Nature: Analysing the impact of Open Access books using altmetrics data. In this short video Agata Morka, Senior Manager, Open Access Books at Springer Nature, explains how altmetrics data was used alongside downloads and citation counts to analyze the usage of their Open Access books. The report provided key insights, most notably that their Open Access books receive 10% more online mentions than that of closed content which demonstrates how using this model can maximize the reach and value of publications. Springer Nature was able to use the findings from the analysis to better advise their authors about the benefits of publishing Open Access. An Altmetric Success Story is a recent blog post from The Royal Society publishing. The post examines the reason behind a journal article published in Philosophical Transactions B receiving the most amount of online attention than any other article they’ve published. By taking a deep dive into the online mentions the article received and analyzing the author’s promotional strategy they were able to put together a list of recommendations for authors for making their work more shareable – a great approach which provides some useful pointers for other publishers keen to drive engagement with unique audiences and authors! 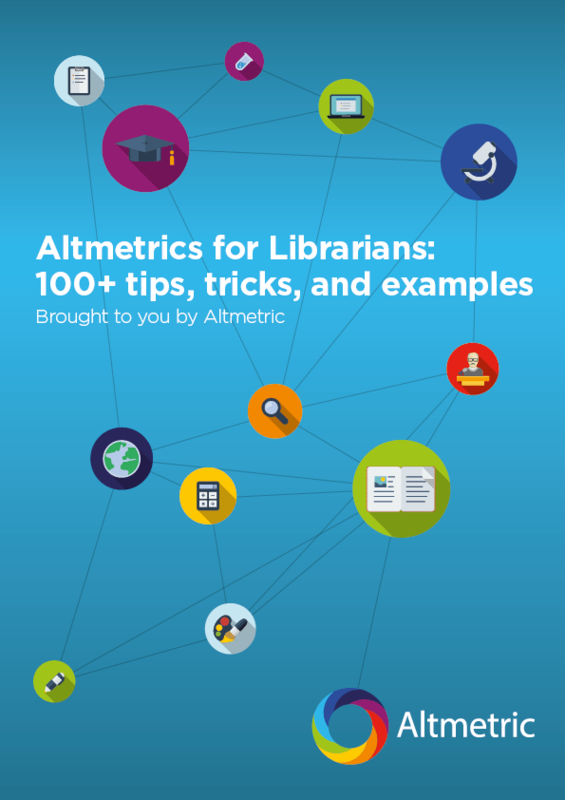 Want to understand more about how altmetrics for books can work? Watch the thrilling tale of how these valuable insights are gathered in our animated video: ‘Altmetric for Books: A Donuts Quest’. This story follows the adventure of a sentient Altmetric donut on a mission to find out how he can showcase the online engagement surrounding published books and chapters. If you’re interested to explore how altmetrics can be used most effectively within your organization, stop by the Digital Science booth located in hall 4.2 location L97 at the Frankfurt Book Fair, visit us online at Altmetric.com or follow us on Twitter @Altmetric.